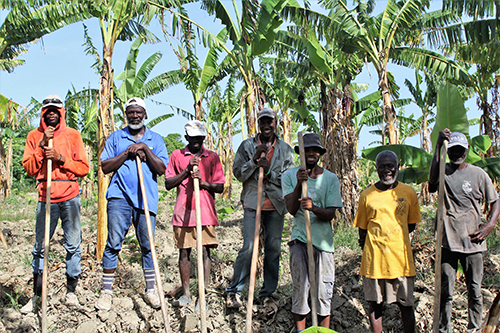 Haitian people are resilient people, having survived years of devastating natural disasters that have resulted in crop damages, food shortages, and housing crises. Homelessness, unemployment, and malnutrition are steep, ongoing challenges that have created an alarmingly high level of poverty and a low level of education in the country. And, as is often the case, children suffer some of the worst effects. As many as 26% of children 5 and under suffer from chronic malnutrition, and many know nothing of the love of Christ. 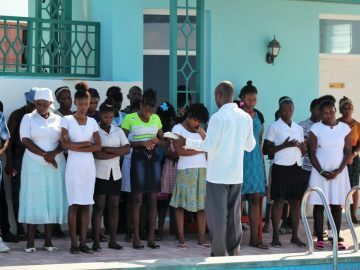 Religion: Roman Catholic (54.7%), Protestant (28.5%), voodoo (2.1%) Because many Haitians practice elements of voodoo in addition to another religion, voodoo was recognized as an official religion in 2003. 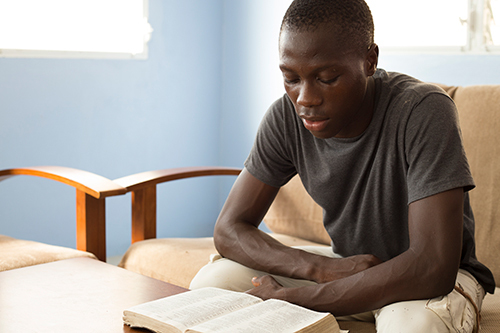 We seek to develop future leaders who will support the nation of Haiti for Christ. Specifically, our goal is to grow Christ-centered, loving, financially responsible families, provide transitional living for our graduates to ease them into independent living, and create employment opportunities. 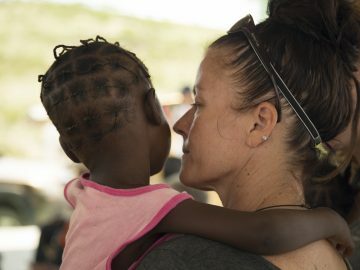 Since 2010 our mission has been to utilize the gifts God has given to us, serve the people He has intended for us, share the good news of His salvation for man, build relationships through discipleship for those who have given their lives to Christ, and finally, to provide strong Christian mentors for a lifetime. We focus on going deeper with the Gospel to guide students, families, and employees toward living to glorify and honor God with our daily lives. We build intentional relationships with the people we come in contact with in all areas of the ministry. 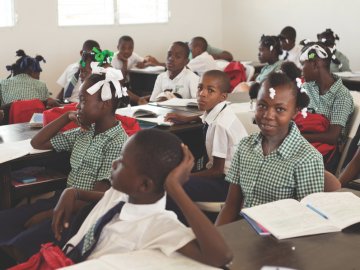 We provide tuition-free education to children in Haiti who cannot attend school because of poverty. 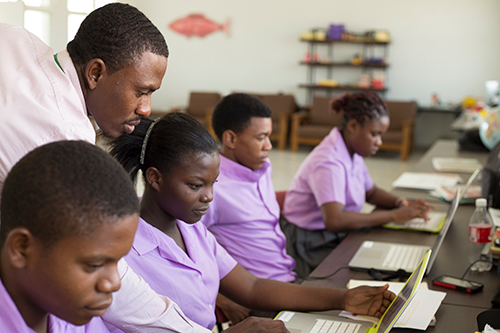 Specifically through Christian education, we not only seek to provide an academic standard which allows our students to graduate at the top of most students in Haiti, but we also provide an environment that shares and demonstrates Christ first through biblical integration in the classroom, daily Bible teaching, and mentorship from teachers who profess Christ and live for God. 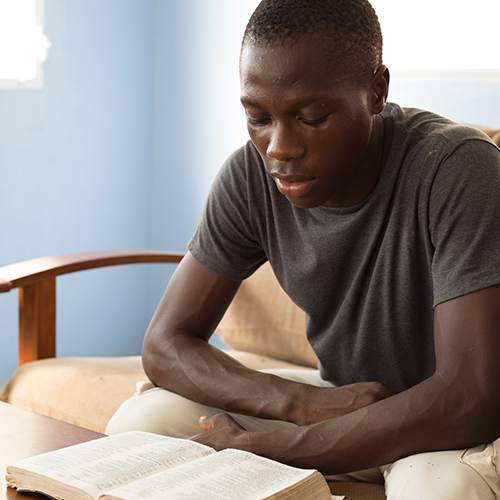 Every student who walks through the doors of our schools come in contact with the Gospel. We care for children who are orphaned or abandoned because of poverty by providing housing, food, medical help, and a Christian environment. 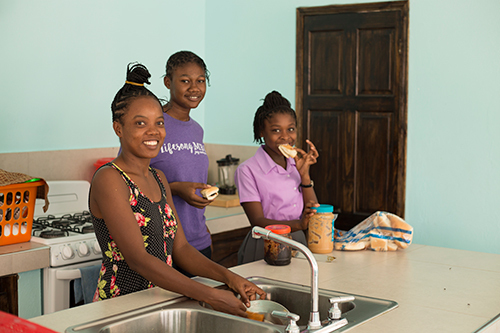 To help generate work and income in an area with little to no employment opportunity, we employ locals for our farm and guesthouse, providing caregivers with consistent paychecks and work. 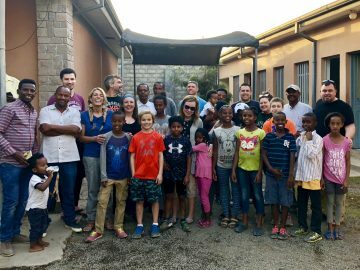 Short-term Mission Trips: To Go or Not to Go?